We can’t rely on our memory during a move process to be certain that we have completed everything on the task list. Read over your task list and check off what has been done and highlight what has yet to be done. Use a printed calendar or your calendar on line to remind you of each task that needs to be completed. Assign days and times to complete these tasks. This will assure you that everything is done on time. Houses don’t get cleaned out on their own. Even after you’ve donated, distributed or discarded many items, there are always things used during the days leading up to a move. There may be beds and dressers, kitchen tables and other items that couldn’t be thrown away before the move. You may need a clean out crew to help you rid of the balance of the items in the house and broom sweep (as mentioned in your contract). Have peace of mind and use a reliable company to take care of this for you. Ask a family member or neighbor to be with you on moving day. If possible ask two people. You should be the one directing the movers in each room. One person should use spreadsheet one, and mark off each box number that is taken to the truck. Someone else should be at the truck making sure that each box goes into the truck. If there are multiple stops, be clear as to what is getting off the truck first so that the boxes are placed into the truck in the correct order. When you arrive at your new home, have friends and family with you. Mark off each box that comes into the home. You will know right away if something is missing since you created a clear spreadsheet. Go to the truck before it leaves and inspect it for missing table leaves, drawers or for other items that are easily missed in a move. 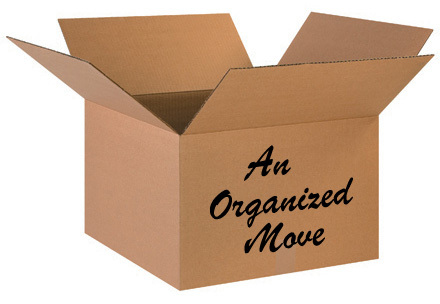 Use your third spreadsheet to tell the movers where each box should be placed. This eliminates the need to schlep boxes from one room to another. If you were diligent and followed these steps the unpack should be relatively easy since all the boxes are in the right places. Have garbage bags with you to collect all the paper wrappings. Be sure to have scissors near you as you will need to cut open the well wrapped boxes. Arrange for someone to come and help you make your bed, hang up your pictures and put some items away for you. There is no better feeling then having all the boxes put away, garbage taken out, pictures hung and a fresh, clean bed ready for you to fall into after your hard day. Mazel Tov! You did it!